A serious issue amongst teens is substance abuse and addiction. Substance abuse and addiction can result from vast amounts of different situations. Unfortunately, the abuse of drugs and alcohol is a common struggle in many teens. Parents of teens that struggle with addiction should research and seek treatment quickly. The sooner the issue is addressed and corrected, the better. Liahona Academy is a residential treatment center that specializes in the rehabilitation of teens struggling with addiction. For more information on substance abuse and addictions in teens, call Liahona Academy at 1-800-675-8101. The adolescent stage is one of the most important times in someone’s life. This is the time when an individual begins to discover personal traits in themselves and make important decisions that can ultimately set the precedent for the rest of their life. A common issue for teens is failing to see the "bigger picture” and see the consequences (good and bad) of the decisions made, as a teen, that can come up in adulthood. Educating adolescents about the outcome of substance abuse and addiction can sometimes help prevent the use of substances in the first place. Recognizing early signs of substance abuse can allow parents to take action before the abuse becomes dependence and, therefore, an addiction. If these signs are showing up more and more in your teen, it is time to take action. Start by talking with them in a non-confrontational way. Most teens struggle with talking about personal issues, especially if they are dealing with substance abuse and addiction. Approaching them in a non-threatening manner can help motivate them to discuss their issues with you and prevent them from shutting down. Keep in mind that the difference between a struggle with substance and full on addict in your teen could be a short conversation. Don’t be afraid to seek help if you realize that your teen does in fact suffer from substance abuse and addiction. Sadly, substance abuse in teens can and likely will get worse. The way to prevent this outcome is to thoroughly research and seek the correct treatment that your teen needs. Liahona Academy is a residential treatment center that specializes in helping troubled teens struggling with substance abuse and addiction. We understand that it is important to seek help and treatment, but it is more important to find the cause of the issue. Our staff will assist your teen in locating the root cause of the problem and help them to understand how to deal with this underlying issue in a healthier way. 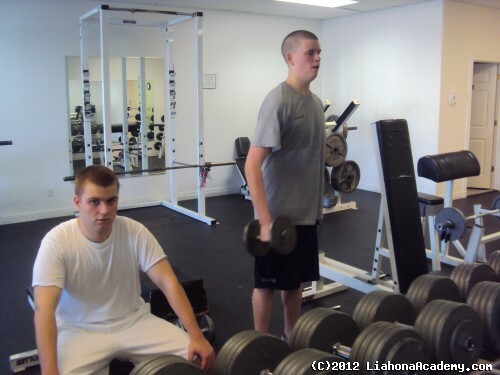 The substance abuse treatment programs at Liahona Academy have proven effective and can help your troubled teen overcome their addictions. If you are the parent of a teen struggling with substance abuse and addiction, the time to act is now. Call Liahona Academy at 1-800-675-8101 and get started on the path to a drug free life.